Our wellness spa rooms are the perfect place to unwind and renew. Each of our four private spa rooms feature cool natural slate walls, a redwood deck, a hot tub with jets, an open shower, and paper shoji doors that open to reveal a view of our 70 year old bamboo garden. 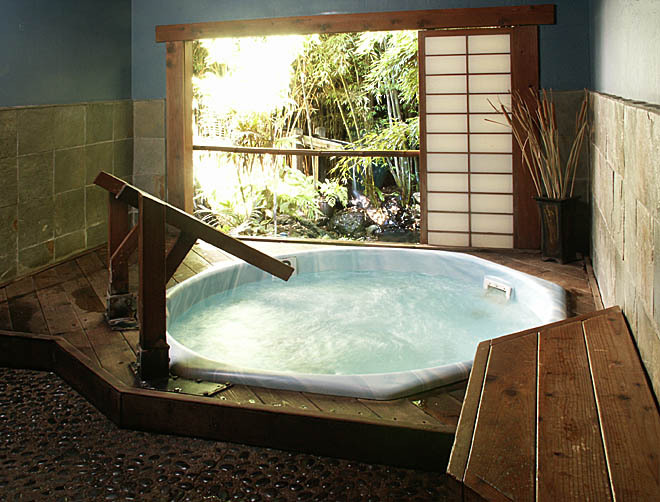 The hot tubs are purified using chlorine and the water is continuously filtered. 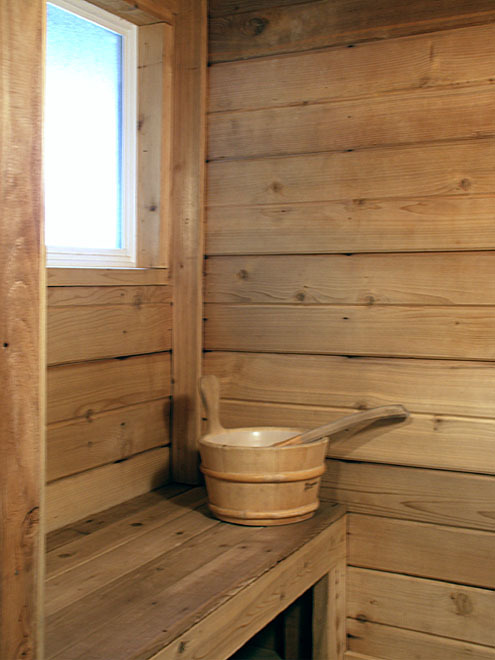 Water temperature is maintained between 103-104 F.
Three of the four rooms also include a cedar lined dry sauna. Lavender soap, shampoo, and conditioner from Bonny Doon Farm are provided in the shower area. We honor our location’s history with a large selection of complimentary tea to enjoy with your spa or massage. Our teas are artisan made by Art of Tea and Monterey Bay Spice Company. We have many types including herbal, green, white, black and pu-erh. Prices listed are per 50 minute session. You may book more than one session consecutively. For a reservation please call us at (831) 426-9700 or book online. Reservations are recommended. Please call at minimum 3 hours in advance if you need to cancel or change the time of any spa reservation. We require credit card numbers for all of our reservations or you may come in to the spa and pay in advance. You will be charged if you do not arrive and do not call to cancel. Our spa facilities are a smoke free, alcohol free, and cell phone free environment so we may provide each guest with comfort and quiet relaxation. A maximum of four people may reserve any single spa room.